Ian Brown is reportedly recording new solo material. 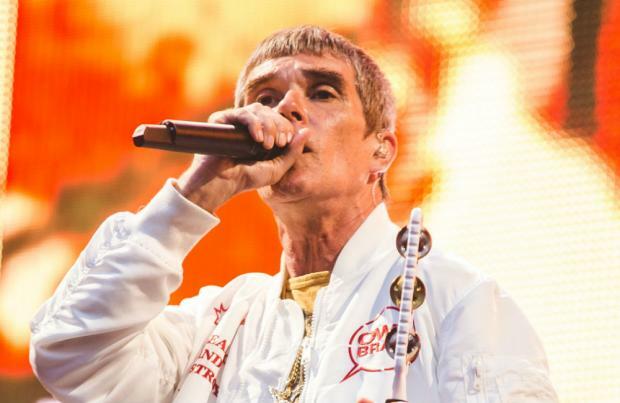 The 54-year-old singer - who has just wrapped up a series of massive stadium shows with his reformed band The Stone Roses - is believed to be back in the studio working on new solo music as follow up to his sixth solo album released back in 2009. But fans of Brown should expect to hear new music from the 'Keep What Ya Got' hitmaker soon, as The Daily Star newspaper states he is "recording new material for his first solo record" since 'My Way'. At the end of their show at Glasgow's Hampden Park on Saturday (24.06.17), the singer told the crowd: "Don't be sad it's over, be happy that it happened." There hasn't yet been any official announcement about the future of the band, who have released two new singles, 'All For One' and 'Beautiful Thing' since getting back together. However, their friend Noel Gallagher previously said the band were very excited by their studio sessions and felt the album was comparable to their self-titled 1989 debut LP, considered to be one of the greatest albums ever made.